Oh, what to buy for that hard to buy for person for Christmas? Or that one that seemingly has everything? It's a question or two that comes up year after year for many as the festive season approaches. The answer is something unique and something different that one might not have. The other question is – Where to find that something special? The answer is a Christmas market. 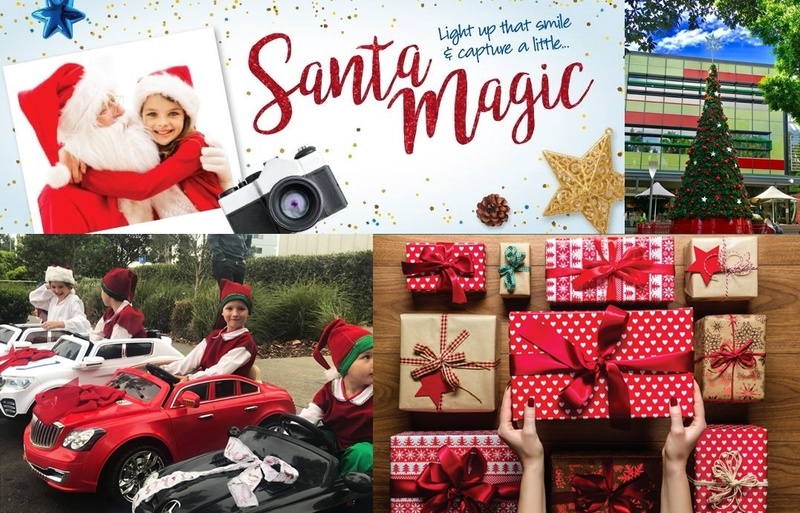 There are many markets around Sydney, its suburbs and outskirts that are specifically festive related and have that 'something' that you won't find in your regular shops. Shopping and harbour views go hand in hand at Barangaroo Reserve and at The Cutaway underneath this headland, you'll find art and good taste in this market with over 200 stalls. Incredible pieces from amazing designers make these markets popular at this cultural venue where fresh talent and debut stalls make an appearance. You might find yourself wanting to keep any gifts you buy for yourself. 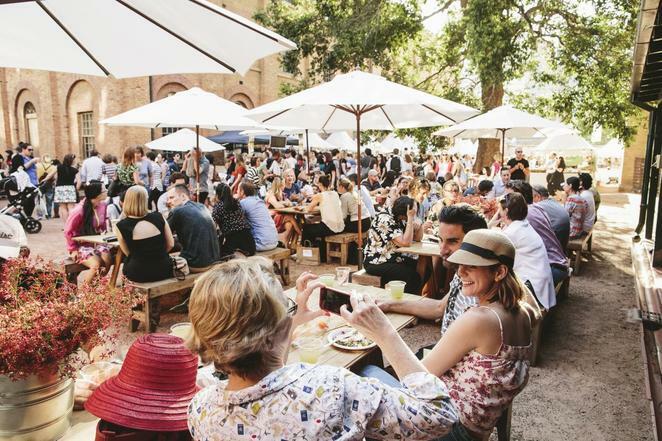 Food and beverages are plentiful with stalls and food trucks, a couple of bars and coffee carts, with live music onsite. There's something to keep everyone happy and it's even easier to get there now with the Barangaroo ferry wharf open. Etsy is a well-known online brand that also went offline with its own markets and a special Christmas market will see over 75 Etsy sellers bringing you cool and unique gifts, from jewellery to homewares and incense. 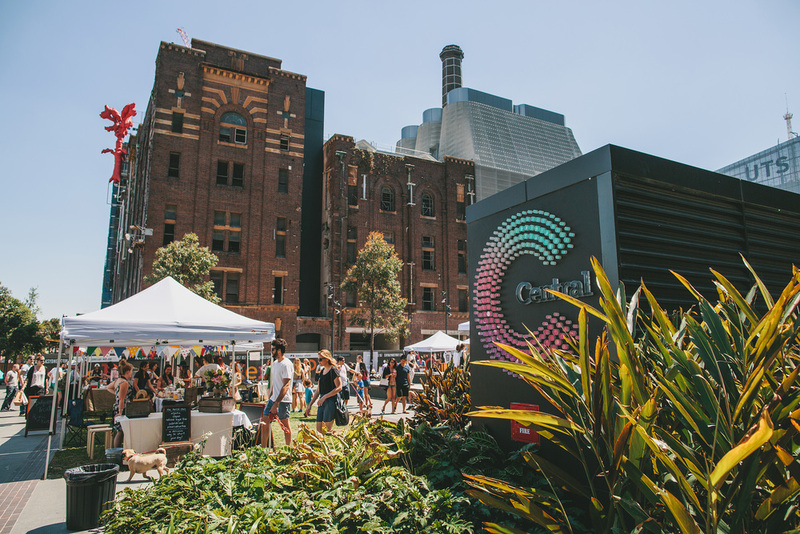 Meet the makers, designers and collectors of this creative community with both vintage and handmade goods, whilst live music entertains and food trucks keep your hunger at bay. You'll find them at the back of the living green Central Mall building, an easy 5-10minute walk from Central Station. The purple flowers of jacaranda trees greet you at this market in the beautiful historic house and garden of Eryldene where over 50 stall holders showcase their Christmas gift products, many of which are unique and unusual. There are garden and kitchen items as well as antiques, jewellery, silk ware, toys, paper products, Christmas puddings and hampers. The estate gift shop also sells a range of items. You can also take a guided tour of the house, learning about life in the Waterhouse family in the early part of the 20th century. The garden has many structures, meandering paths and secret places to enjoy as well as a cafe where you can relax with a tea or coffee and cake. Plenty of free off street parking can be found at the railway end of McIntosh Street or you can take the train to Gordon station. A wide variety of stalls can be found in the heart of Manly at this ethical Fair Trade market with Fair Trade Certified teas, coffee, chocolate, handmade baskets and homewares, Christmas decorations and a whole lot more. Fair Trade tapas and snacks are available from 11am-3pm and it's all for a good cause. The Fair Trade Association is a non-profit organisation supporting the growth of the Fair Trade Movement here in Australia as well as in New Zealand and the Pacific region. The best way to get here is by bus or ferry as parking can be hard to find in this popular beach area. 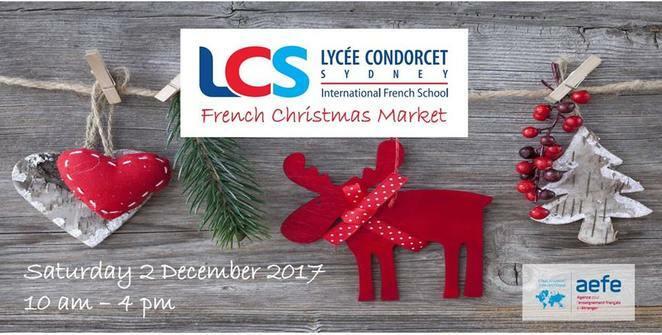 You're sure to find something a bit different at this French market with over 40 quality stalls offering the best French-inspired products, from homewares to gifts and French food. Students will provide live music performances and Christmas activities will keep children busy whilst parents discover all the fabulous items on sale. The school will also have a Christmas tree where wrapped toys can be left for those less fortunate at the Sydney Children's Hospital. Various bus routes will get you to Maroubra and, should you wish to drive, a parking lot is available. The grounds of the historic Hyde Park Barracks are the location for the Sydney Living Museums' Christmas fare that boasts over 40 stalls to peruse, including wares and fresh produce in the form of artisan food gifts. Create your own gourmet hampers and get everything you need for your Christmas table. Shop for unique crafts in Makers Lane and take advantage of the gift wrapping station. You can also browse the museum as well as enjoying live music from local bands, food stalls and a festive drink or two at the pop-up bar. Both St James and Martin Place train stations are in close proximity to the Barracks. Interesting gifts, arts and crafts, jewellery, fashion, gourmet treats, homemade traditional Christmas cakes, puddings and beautiful Christmas hampers are just some of what you'll discover at this historic church in Sydney's north. Aussies love a good barbecue and you'll find that here too, along with coffee and cake, Champagne and strawberries plus Christmas carols that will have you relishing in the festive spirit. Plenty of parking is close by and the train station and bus interchange are both only 100metres away, just look for the fairy lights. Take the whole family for an evening out here as you'll find all your Christmas needs and more, including clothes, candles and artisan gifts. Purchase some fresh oysters or enjoy a sit-down meal as tables and chairs are plentiful. You may need to bring a few bags to hide your pressies from other family members but this festive encounter is sure to put smiles on all their faces. 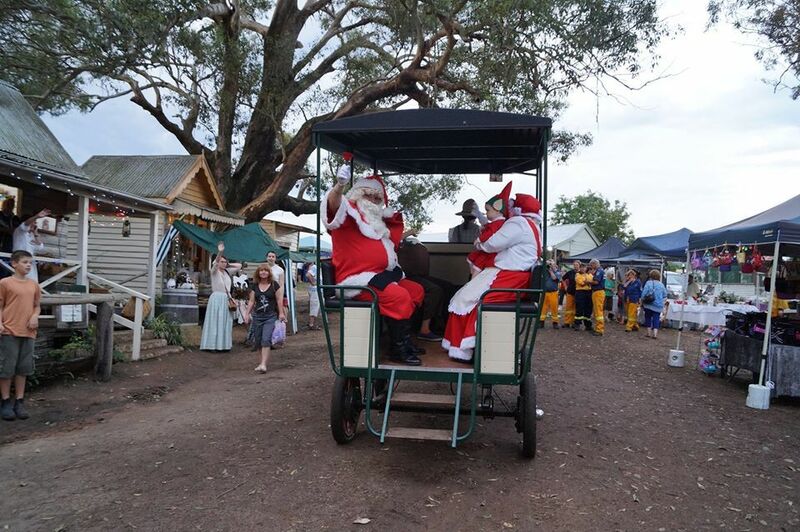 The kids will love the pony rides, petting zoo and a visit from Santa. Live entertainment and music with carols plus a Christmas lights show are also part of this event. Buses stop right outside the markets on Forest Road. 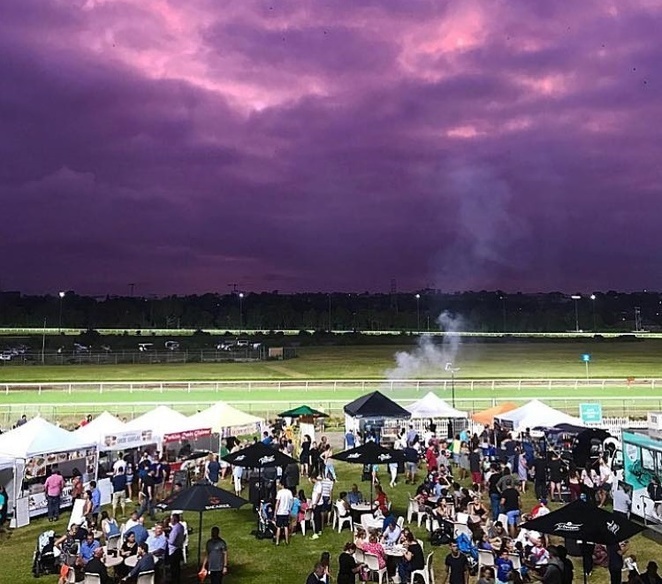 Another great family affair to be had is at this racecourse market where free children's activities abound, including Christmas craft and face painting. Sing along to Christmas carols, see Santa and enjoy a special Christmas treat. 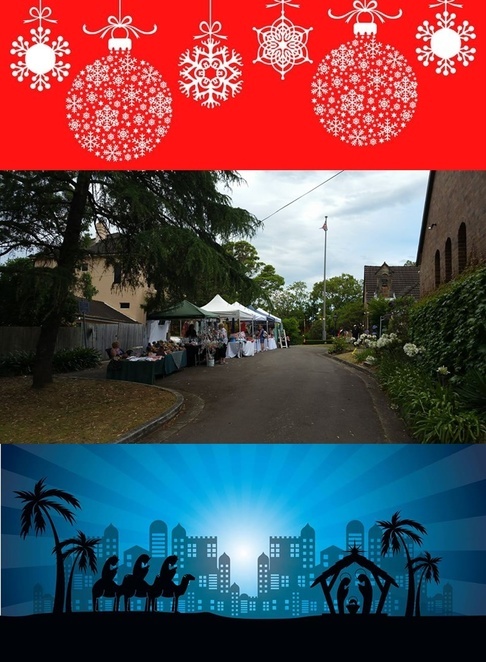 Stalls are plentiful, providing gifts and food in this evening outing located only 11kms from the Sydney CBD. Friday night races are on, so have a punt and grab a beer or house wine for $5. Free infield parking onsite via Frederick Street allows for 20,000 vehicles whilst dedicated members' parking is via King and Princess Streets. This shopping extravaganza is the perfect place to pick up one-off pieces of which fashion, arts and craft feature in 70 odd stalls. Monkey Puzzle Toy Shop will bring their exclusive toys, games and puzzles with a focus on creative and educational play whilst Brick Yourself brings their caricature figures of people in LEGO. Artisan and gourmet foods, such as Sweet Health's cookie mix in a glass bottle, make for great stocking fillers for cooks and look good in hampers. Quality products and Christmas gifts for all budgets can be found. 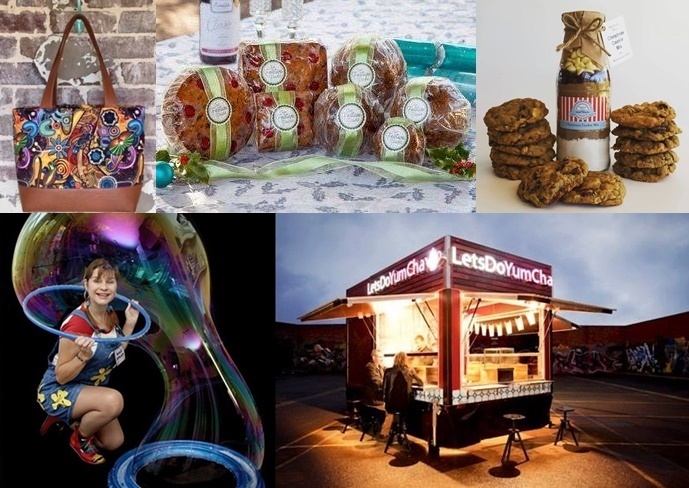 Delicious food trucks will fill you up as part of this date with Christmas that also sees many activities to keep the kids busy, including an epic jumping castle alley. Additionally, an entertainment line-up includes Bubble Magic with Sali Splat, Magic by Julianbullmagic, live music by Queeny Sings and an appearance by Spiderman, courtesy of The Superhero Experience – Premier Children's Parties. Getting there is easy with multiple bus routes (439, 464, 466, M41) stopping right outside the school. Limited street parking is available as well. This two day Christmas market at Rouse Hill will see over 100 stalls lining Main Street within the Town Centre complex until 8pm on the Saturday and 4pm on the Sunday of the first weekend in December. Unique, high quality products include men's, ladies and children's clothes and accessories, home wares and a whole lot of gifts for the Yuletide season. Revel in live music and amusement rides, such as Pirate Ship, a giant slide, jumping castles and more for the young and the young at heart. Capture a little Santa magic with a photo on the lap of the jolly bearded fellow at the Food Terrace. You can book here for a small fee and beat the queue. Get absorbed in both the Christmas atmosphere and the activities and life of this pioneer village as it was over 100 years ago. Located in the Hawkesbury area, you'll find 35-45 market stalls on the night as well as the village specialty shops and you'll be sure to find something for that someone hard to buy for. Savour the twinkling setting of thousands of lights, a snow tent, entertainment that includes live music and a choir plus Santa, Mrs Claus and their little helpers. At the children's stage, littlies can sit on Santa's lap and have their photo taken. All the attractions of the village will be operating as usual. You'll be able to view the historical relocated cottages and buildings housing a blacksmith, barber and saddler, amongst others. Check out the shearing shed and the wagon sheds with their antique and vintage equipment. Train rides as well as horse and carriage rides (for a fee) can also be enjoyed. Pop-up food stalls and a coffee van will keep you going along with the village food outlets which include Damper Camp where you can enjoy a Devonshire tea or a home cooked meal, Kenso Cottage aka the Lolly Shop and the Oxboro Inn with a variety of pub-style food (Eftpos is available here). 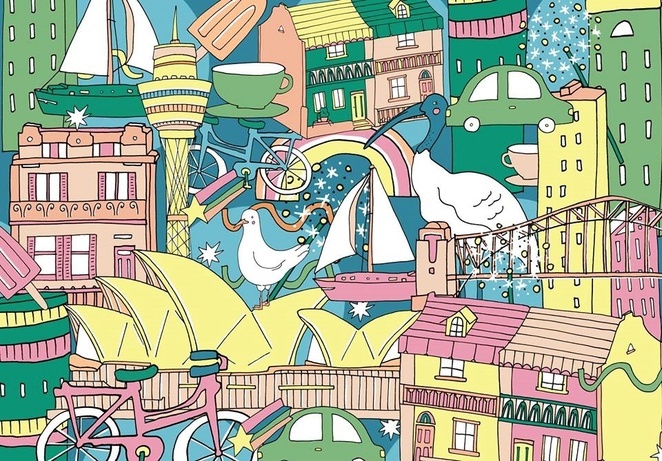 The village is just over an hour from Sydney using the M2 and then taking the turnoff at Windsor Road or the M7 and the turnoff at Richmond Road. Once you've found Wilberforce Road, the entry to Rose Street is on the right and the village entrance is behind the Heritage Hotel. Signs make it easy to find. Free parking is accessible inside the village. We ALL love markets, Irenke and I love the over-abundance of them at Christmas!